1. This Decree provides for contracts in construction activities (below referred to as construction contracts) under construction investment projects with 30% or more state capital. 2. This Decree applies to organizations and individuals involved in construction contracts under projects with 30% or more state capital in the Vietnamese territory. Organizations and individuals involved in construction contracts under projects with less than 30% state capital are encouraged to apply the provisions of this Decree. 3. 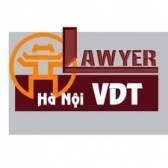 Construction contracts under projects funded with official development assistance (ODA) may comply with relevant treaties to which the Socialist Republic of Vietnam is a contracting party and which contain provisions different from those of this Decree. 1. Construction contract means a civil contract established in the form of a written agreement between a principal and a contractor on the establishment, change or termination of the rights, responsibilities and obligations of the contracting parties for the performance of one. some or all of jobs in construction activities. 2. Principal means an investor or a general contractor or a principal contractor. 3. Contractor means a general contractor or principal contractor in case the principal is an investor; a sub-contractor in case the principal is a general contractor or principal contractor. A contractor may be a partnership of contractors. 4. General conditions of a construction contract means a document enclosed with the contract defining basic rights and obligations of and relationships between parties to the contract. 5. Particular conditions of a construction contract means a document enclosed with the contract specifying or supplementing a number of general conditions applicable to the contract. 6. Construction contract annex means a document enclosed with a construction contract detailing, clarifying, amending or supplementing some clauses of the construction contract. 7. Working day referred to herein means calendar day, except Sundays and public holidays prescribed by law. 8. Project standards means technical regulations, economic-technical norms, job performance processes, technical specifications and natural condition indicators elaborated or compiled by investors or their consultants for application to specific construction investment projects. Project standards must conform to regulations and standards promulgated or accredited by the State. 9. FEED design means a design made by a foreign consultant according to international practices after a work construction investment project is approved to serve as a basis for realizing detailed designs for works. 10. Main contract means a construction contract signed between an investor and a principal contractor or general contractor. 11. Sub-contract means a construction contract signed between a principal contractor or general contractor and a sub-contractor. 12. Lump-sum contract, fixed unit-price contract, adjustable unit-price contract, time-based contract and percentage contract referred to herein means the forms of lump-sum contract, unit-price (contract unit price or adjustable unit price) contract, time-based contract and percentage contract specified in the Government's Decree No. 85/2009/ND-CP of October 15, 2009, guiding the implementation of the Bidding Law and selection of contractors under the Construction Law. b/ Work construction contract (below referred to as construction contract) means a contract for the construction of works, work items or construction jobs according to work construction designs; work construction general contract means a construction contract for the construction of all works of an investment project. c/ Technological equipment provision contract (below referred to as equipment provision contract) means a contract for the provision of equipment for installation in construction works according to technological designs; technological equipment provision general contract means a contract for the provision of equipment for all works of an investment project. d/ Work engineering and construction (EC) contract means a contract for the performance of work or work item engineering and construction jobs; work engineering and construction general contract means a contract for engineering and construction of all works of an investment project. e/ Engineering and technological equipment provision (EP) contract means a contract for the performance of engineering jobs and provision of equipment for installation in construction works according to technological designs; engineering and technological equipment provision general contract means a contract for engineering and provision of technological equipment for all works of an investment project. f/ Technological equipment provision and construction (PC) contract means a contract for the provision of technological equipment for and construction of works or work items; technological equipment provision and construction general contract means a contract for the provision of technological equipment for and construction of all works of an investment project. g/ Engineering-technological equipment provision-construction (EPC) contract means a contract for the performance of all jobs from engineering, provision of technological equipment to construction of works and work items; EPC general contract means a contract for the engineering of, provision of technological equipment to and construction of all works of an investment project. h/ Turnkey general contract means a construction contract for the performance of all jobs of project formulation, engineering, provision of technological equipment and construction of works of a work construction investment project. 1. A construction contract shall be signed on the principles of free will, equality, good will, cooperation, lawfulness and in accordance with social ethics. 2. A construction contract shall be signed after the principal completes the selection of contractor(s) under regulations and involved parties finish contract negotiations. 3. The contract signing price must not exceed the bid-winning price (in case of bidding) or the approved bid package cost estimate (in case of contractor appointment). In case of addition of a work volume or an equipment quantity outside the volume or quantity indicated in the bidding dossier (dossier of requirements) which results in a contract signing price higher than the bid-winning price (proposed price) but neither changes investment objectives nor cause an excess of the approved total investment capital, the investor may decide on the contract signing price. In case such an addition results in a change in investment objectives or an excess of the approved total investment capital, the investor shall report such to the person with investment-deciding competence for decision. 4. For contracts for the performance of simple and small jobs or bid packages, all contractual contents may be written in a single contract document. For contracts for the performance of complex and large jobs or bid packages, contractual contents may be divided into general conditions and particular conditions of the contract. 5. In case a project investor signs contracts with multiple contractors for the performance of different bid packages, these contracts must be consistent and uniform in terms of schedule and quality, ensuring overall investment efficiency of the project. 6. In case the contractor is a partnership of contractors, partners shall reach a partnership agreement and the contract must contain signatures of all partners. 7. The principal and contractor shall appoint their representatives to negotiate and sign a construction contract. The parties' representatives have full power to decide on contract-related matters and shall take responsibility for their decisions. 1. Parties to a construction contract shall strictly comply with the contract's provisions on scope of jobs, requirements on quality, quantity, category, deadline and mode, and other agreements in the contract. 2. A construction contract shall be performed in an honest and lawful manner, ensuring cooperation and mutual trust. 3. Parties to a construction contract may not infringe upon state and public interests and lawful rights and interests of other persons. d/ The contractor has adequate operation and practice capability as required by law. 2. The date when a construction contract becomes valid is the date of its signing (with a seal, if any) and after the principal receives a contract performance security from the contractor (for contracts requiring contract performance security) or another date agreed upon by the parties in the contract. c/ State administrations, agencies controlling, allocating or lending capital and inspecting, examining or auditing loans, and other relevant agencies shall base themselves on valid construction contracts to perform their respective functions and tasks under regulations and may not infringe upon lawful rights and interests of contracting parties. 1. Within the ambit of their rights and obligations, contracting parties shall work out contract performance plans and measures in accordance with the signed contract in order to realize their agreements in the contract. e/ Management of contract adjustments and other contents of the contract. 1. Type of contract, contract number, name of bid package, name of project, construction location, and grounds for contract signing. 2. Transaction names of contracting parties and their representatives, their business registration addresses or transaction addresses, tax identification numbers, business registration certificates, account numbers, telephone and fax numbers, e-mail addresses, time and place of contract signing, and other relevant information. 3. In case the contractor is a partnership of contractors, sufficient information on partners must be written under Clause 2 of this Article, indicating the head of the partnership. 1. Grounds for signing a construction contract include requirements on jobs to be performed agreed upon by contracting parties, results of contractor selection, results of contract negotiation and finalization. and relevant provisions of law. 2. For EPC contracts, in addition to the grounds mentioned in Clause 1 of this Article, contract signing grounds include also approved work construction investment projects and FEED designs (in case designs are made by foreign consultants). 1. A construction contract dossier comprises a written construction contract and its accompanying documents. 2. A contract must contain the following principal details: jobs and work volumes to be performed; quality and technical requirements; performance duration and schedule: takeover and handover conditions: contract price, advance, payment and settlement and payment method: warranty duration (for construction contracts involving works for which warranty is required); rights and obligations of contracting parties: liability for contract breaches; language used in the contract; and other agreements depending on each type of contract. 4. The contracting parties shall reach agreement on priority order for the application of documents accompanying the contract to settling contradictory issues (if any). 1. Construction contracts are regulated by the legal system of the Socialist Republic of Vietnam. 2. Language used in construction contracts is Vietnamese, except the cases specified in Clause 3 of this Article. 3. Languages to be used in a construction contract involving a foreign party are Vietnamese and English. For a bilingual construction contract, the contracting parties shall agree on a language to be used in the course of contract transaction and the priority order for the use of the languages in settling disputes over the contract (if any). e/ For turnkey contracts, main jobs include formulation of an investment project; engineering; provision of equipment and construction of works; operation training and instruction, maintenance and repair; technology transfer; and test operation. 2. Adjustment of the work volume of a contract must comply with Article 35 of this Decree. b/ Imported equipment and goods not mentioned at Point a of this Clause are also subject to regulations on origin. e/ Faulty products (which fail to satisfy the contract's requirements) must be repaired. Those which are irreparable must be discarded. The party at fault shall bear all expenses for repair, re-inspection and other expenses related to the correction of defects as well as assurance of the contract performance schedule. 1. The duration of performance of a contract is counted from the effective date of the contract to the date when the contracting parties fulfill contractual obligations and must conform to the project implementation schedule. 2. The contractor shall work out a detailed schedule of contract performance, then propose it to the principal for approval for use as a basis for contract performance. 3. The contract performance schedule must indicate dates of completion and handover of major jobs and products. 4. For big construction contracts with a long duration of performance, the construction schedule shall be worked out for each stage. 5. For equipment provision contracts, the equipment provision schedule must indicate dates of equipment handover, stating equipment quantities and categories for each handover. 6. For EPC contracts and turnkey contracts, in addition to the construction schedule for each stage, a schedule for each type of work (project formulation, engineering, equipment provision and construction) shall also be made. 7. Acceleration of the contract performance progress is encouraged provided the quality of the contract's products is assured. In case the progress acceleration brings about higher efficiency for the project, the contractor will be rewarded as agreed upon in the contract. 8. Adjustment of the contract performance schedule must comply with Article 38 of this Decree. 1. The price of a construction contract means a sum of money which the principal pledges to pay to the contractor for the performance of job(s) according to requirements on volume, quality, schedule and payment conditions and other requirements as agreed upon in the contract. 2. A contract price must clearly indicate expenses, taxes and charges (if any); an adjusted contract price must conform to the type of contract, contract price and be agreed upon by the parties in the contract. d/ Time-based contract price, which is determined on the basis of remuneration for experts and expenses other than remuneration for experts and the working duration (volume) calculated in month, week, day or hour. - Remuneration for experts includes expert expenses determined on the basis of salaries of experts and related expenses as agreed upon by the contracting parties in the contract multiplied by the actual working duration (calculated in month, week, day or hour). - Expenses other than remuneration for experts include travel and survey expenses, working office rent and other reasonable expenses. e/ Percentage contract price, which is calculated in a percentage of the value of a work or work volume. When the contractor completes all contractual obligations, the principal shall pay to the contractor a sum of money equal to a certain percentage indicated in the contract multiplied by the value of work or work volume. 4. For a construction contract covering many jobs subject to different types of contract price, a combination of contract prices specified in Clause 3 of this Article may be applied. b/ In case of contractor appointment, the contract price shall be based on the approved cost estimate and bid package price, proposed price and results of contract negotiation between the parties. 1. Contract performance security means the application of any of the measures of deposit payment, collateral and submission of a letter of guarantee by the contractor to secure the performance of its obligations in the course of contract performance. 2. Contract performance security must be paid to the principal before the contract takes effect, accepted by the principal and exist until the warranty obligation is performed, except construction consultancy contracts and self-performed construction contracts. 3. In case the contractor is a partnership of contractors, each partner shall pay its contract performance security to the principal at a level equal to the contract value portion performed by that partner. If the partners agree that the head contractor of the partnership pays the contract performance security to the principal, the head contractor of the partnership shall do so and each partner shall pay its contract performance security to the head contractor in proportion to the contract value portion it performs, unless otherwise agreed by the contracting parties. 4. The contract performance security value shall be indicated in bidding dossiers or dossiers of requirements and must not exceed 10% of the contract price. When necessary to prevent a high risk, the contract performance security value may be higher but must not exceed 30% of the contract price and shall be approved by the investment decider. 5. The contractor may not receive back the contract performance security if it refuses to perform the contract after the contract takes effect and in a case of breach as specified in the contract. 6. The principal shall refund the contract performance security to the contractor as soon as the latter shifts to perform the warranty obligation and the principal receives the warranty security. b/ The value of the guarantee for contract payment advance shall be subtracted equal to the value of reduced advance amount upon each payment as agreed upon by the contracting parties. 1. Construction contract advance payment means a sum of money advanced by the principal to the contractor for the performance of jobs under the contract. 2. Contract advance payment shall be made immediately after a construction contract takes effect and the principal receives the advance payment guarantee (if any). 3. The advance level, time of advance payment and retrieval of advances must be agreed upon by the parties in the contract. 20% of the contract price, for contracts valued at below VND 10 billion. c/ For equipment provision contracts, EPC contracts, turnkey contracts and other types of construction contracts, it is 10% of the contract price. 5. The maximum advance level is 50% of the contract price. In special cases, the maximum advance level shall be permitted by the investment decider. 6. Advance amounts shall be retrieved right at the first contract payment. The advance amount to be retrieved upon each payment shall be agreed upon by the contracting parties and indicated in the contract. The retrieval shall be completed when the paid value reaches 80% of the contract price. The investor shall coordinate with the contractor in calculating an appropriate advance level and managing the use of advanced capital for proper purposes and objects and with efficiency. It is prohibited to leave advanced capital unused or use advanced capital for improper purposes. The investor shall retrieve advanced capital left unused or used for improper purposes. some materials must be seasonally stored, the principal and contractor shall agree on a plan on advance payment and advance level to assure contract performance progress. 1. Payment for a construction contract must accord with the type of the contract, contract price and contractual terms. 2. Contracting parties shall agree in the contract on payment installments, periods, points of time, time limit, dossier and conditions. 3. The principal shall pay fully (100%) the value of each payment installment to the contractor after deducting the advance and work warranty amount as agreed upon in the contract, unless otherwise agreed by the parties. 4. For lump-sum contracts: Payment shall be made in a percentage of the contract price or prices of works, work items or job" volumes corresponding to payment periods agreed upon by the parties in the contract and requires no detailed certification of completed volumes. 5. For fixed unit-price and adjustable unit-price contracts: Payment shall be made on the basis of actually completed volumes (including also increased or reduced volume, if any) which have been tested for takeover and unit prices in the contract or unit prices adjusted based on market price fluctuation as agreed upon in the contract. a/ Expenses for experts shall be determined on the basis of salaries of experts and related expenses as agreed upon by the parties in the contract multiplied by the verified actual working period (calculated in month, week, day or hour). b/ Expenses other than remunerations for experts shall be paid by the method specified in the contract. 7. For percentage contracts, payment shall be made according to a percentage of the contract price. Percentages of payment installments shall be agreed upon by the parties in the contract. When the contractor fulfills all contractual obligations, the principal shall pay to that contracts a sum of money equal to the percentage the value of the completed work or job volume as indicated in the contract. 8. For contracts applying combined contract prices specified in Clause 4. Article 15 of this Decree, payment shall be made according to these contract prices. 9. Payment for additional volumes (outside the contract) without any unit prices indicated in the contract shall be made according to contract addenda agreed upon by the parties before the performance of these volumes and comply with relevant laws.